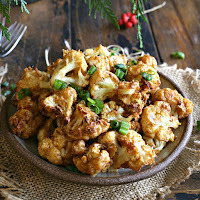 In between batches of holiday cookies, I thought I would take a quick veggie break and indulge my love of cauliflower. 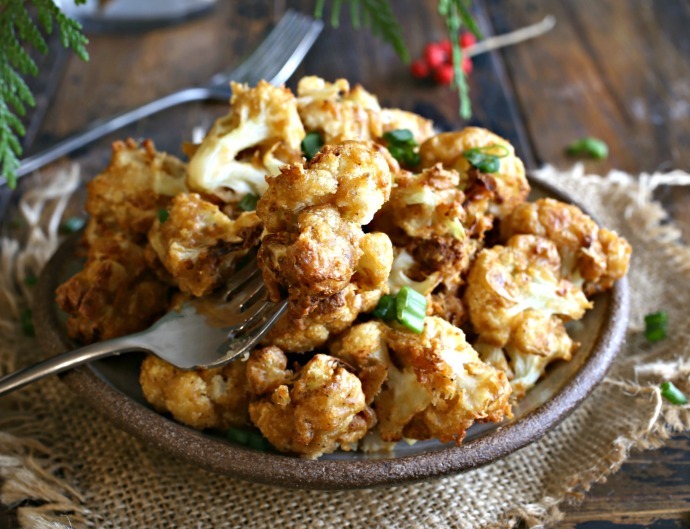 I'll eat it pretty much every way there is but I have to admit that my mother's crispy breaded and fried cauliflower was and still is my favorite. So, so good but maybe not so good for me if I'm trying to minimize the cookie damage. So how about the flavor without the deep fat fry? 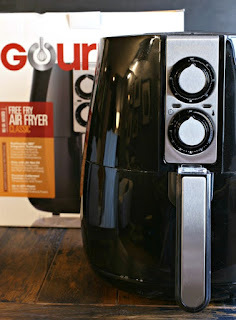 Meet my Gourmia air fryer...and my dish of golden, air fried cauliflower. Apart from the lack of oil, it's also super fast which means I can get my cauliflower fix in a hurry. Breaded and air fried is great but I was feeling like something battered and indulgent. Minus the indulgence. My beer batter gets flavor from smoked paprika and Romano cheese. And I'm so impressed with how well the batter stays on the cauliflower when it air fries. I was even prepared for a messy clean up to get my battered veggies but there wasn't even that. The non stick bottom of the fryer meant any leftover batter slid right out and the based washed easily. This air fried vegetable thing is now happening on the regular. Enjoy! In a large bowl, whisk together the flour, baking powder, salt, smoked paprika, garlic powder, black pepper, cheese, water and beer. 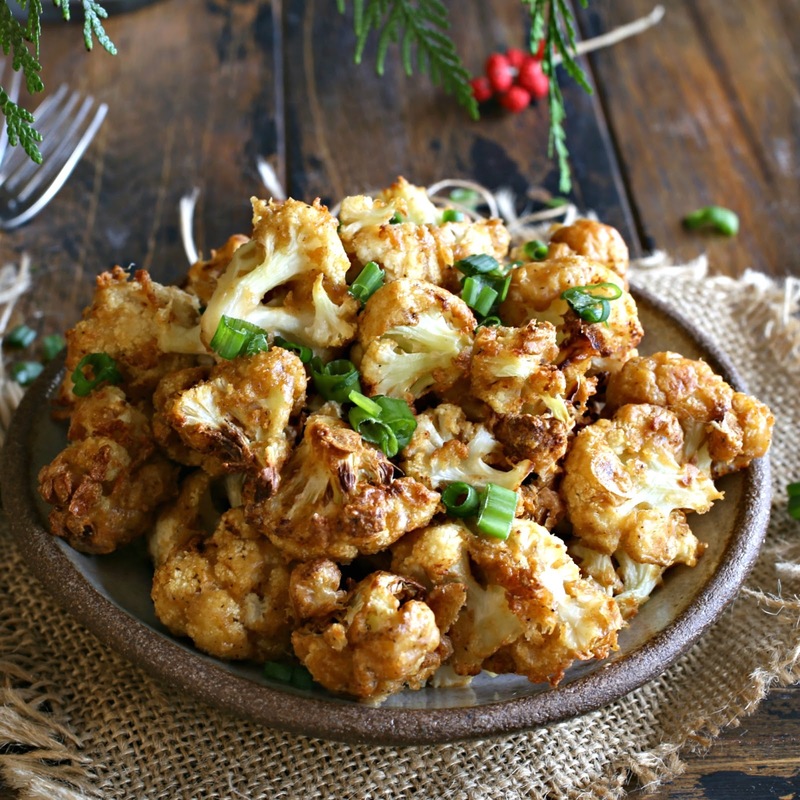 Stir in the cauliflower florets until they are thoroughly coated in the batter. 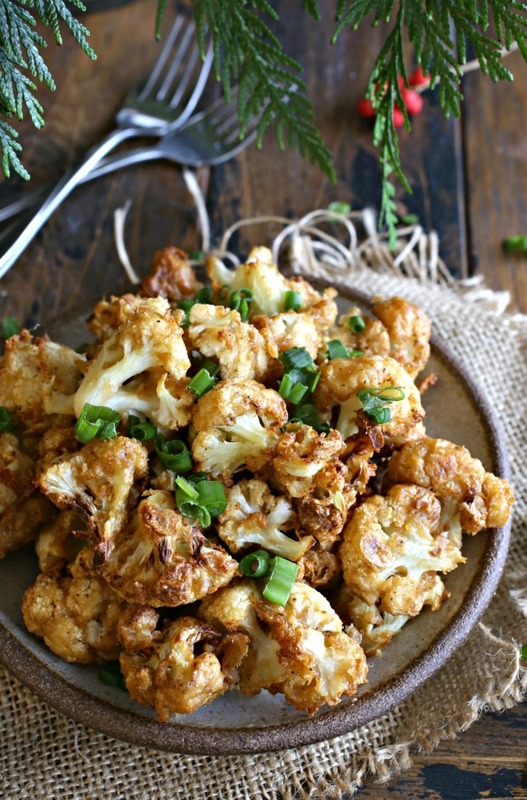 Add the cauliflower to the fry basket of the machine, set the temperature to 350 degrees and the timer to 15 minutes. Serve with some chopped scallions and your favorite dipping sauce. This recipe is sponsored by Gourmia. Thank you for supporting the products I love and use in my kitchen. Click on this link to try the air fryer for yourself!